New construction dominates the narrow stretch of Mayowood Road, but remnants of Mayowood’s idyllic 3,000-acre estate remain, reflected in the rambling span of stone fence, the English style “dragon’s tooth” and other stone structures. Just past the Mayowood Stone Barn, now an event venue, and before the entrance to Mayowood Mansion, is Mayowood Greenhouse Galleries, a property with ties to Dr. Charlie Mayo and Edith Graham Mayo’s grand country estate. Owned by Rita Hawke Mayo, Mayowood Greenhouse Galleries has a long history of selling European antiques. 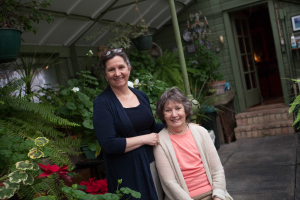 The shop’s origins trace back to the 60s, when Rita and her husband, Edward “Ned” Martin Mayo, son of Dr. Chuck Mayo and Alice Plank Mayo, renovated Mayowood’s historic greenhouse. This entry was posted in Herstory on April 25, 2017 by Amy Hahn Photos by Dawn Sanborn Photography. 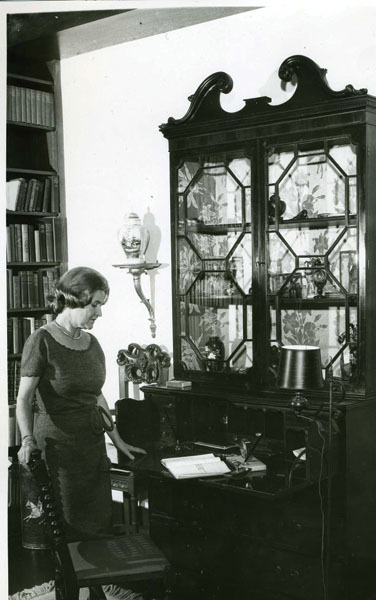 Three remarkable women made their homes in the historic houses on pages 32-33. 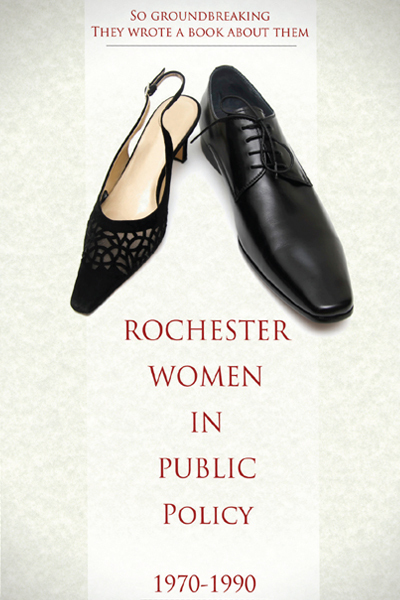 Each left a unique fingerprint on Rochester, helping create its identity and shape its future. This entry was posted in Herstory on February 27, 2015 by By Amy Hahn, Photography by Dawn Sanborn Photography. 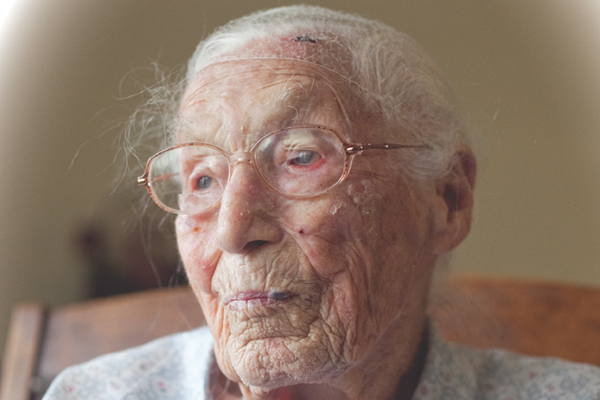 I first met Anna Stoehr when she was only 111. What’s so memorable about her isn’t just that she’s the oldest living Minnesotan, or that she celebrated her 113th birthday in October, or that until April of this year—when she moved into an assisted living community—she was the oldest documented person living independently in the world, but rather that she remembers so much. She is living history. This entry was posted in Herstory on November 1, 2013 by Debi Neville. You are guaranteed to hear voices if you are walking among the gravestones of Oakwood Cemetery on Sunday, Sept. 22. 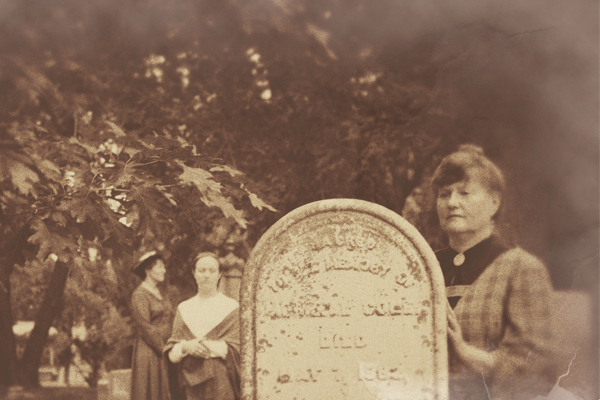 Seven women, long dead, will come to life and tell their stories during the 16th Annual Oakwood Cemetery Walk hosted by the History Center of Olmsted County. This entry was posted in Herstory on August 30, 2013 by Debi Neville. “You are a nice lady, but a woman probably can’t win,” community leaders advised Rochester resident Nancy Brataas during her 1970s campaign for Minnesota State Senate. It was a common theme for women in politics at that time. This entry was posted in Herstory on September 5, 2012 by Michael Ransom. 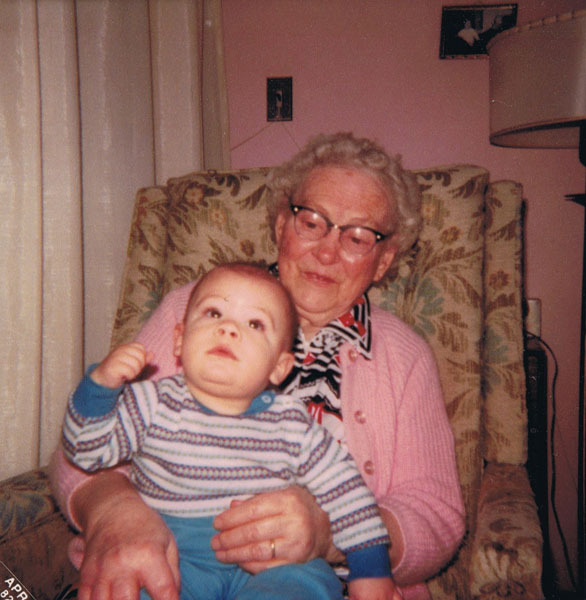 Hattie Mayo was a true Rochesterite. 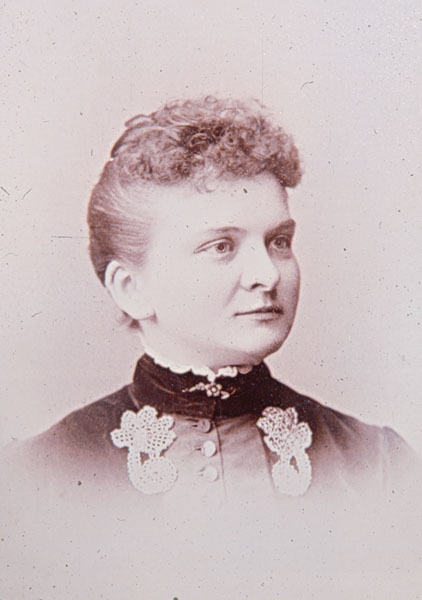 Born in Rochester on May 4, 1864 as Hattie May Damon, she was the daughter of the town jeweler, Eleazer Damon, and his wife, Caroline Warner Damon. Hattie was raised an only child when her family lost her older sister Emma. In 1868, William Worall Mayo, father to Will and Charlie Mayo, and then a prominent member of the school board, had Rochester build the up-to-date Central School. Though only four years old, Hattie loved playing at the school and often could be seen sliding down its stone banisters. Her father decided she might as well attend the school for an education. Hattie was always a good student who loved to draw and read. This entry was posted in Herstory on February 29, 2012 by Coralee Grebe. It’s hard to believe, but there was a time not so long ago in Rochester when the color of your skin determined if you could be served at a restaurant or stay at a hotel. 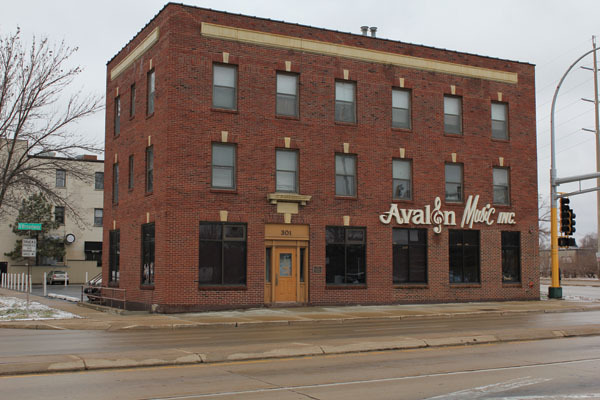 In the early 1940s, Rochester was basically a white man’s club.Eventually, amid the racially charged climate, something had to change—and it did—at the Avalon Hotel. This entry was posted in Herstory on January 9, 2012 by Matthew Bluhm & Maria Bartholdi. Lots of friends my age are becoming grandmothers. Since I’m too young to be one myself, I’m vicariously enjoying their excitement. Yet, none of them really look old enough either. When I picture a grandma, I see a tall, sturdy farm woman in a flowered cotton shirtwaist and ric-rac-trimmed apron. She has tight gray curls tucked in a hair net, big magnifying eyeglasses, and lots of wrinkles, especially when she smiles. This entry was posted in Herstory on November 4, 2011 by Laurie Helmers. 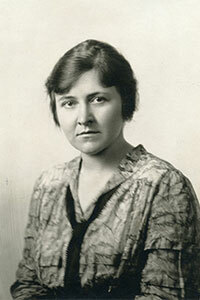 Alice was born in Upper Darby Pennsylvania, outside Philadelphia, to Chester and Lillian Plank. In Pennsylvania, her father provided for the family as a butter and egg man. Here Alice learned ballet and horseback riding and studied art. She completed three years at the School of Design for Women, where she was studying to be a painter. This entry was posted in Herstory on September 16, 2011 by Coralee Grebe.